Oh hey, it’s already August 6th and I’m just now posting what I read last month. I really need to get it together, apparently. Or not, this is my blog and I do what I want… or something. Anyways, it’s book review time! 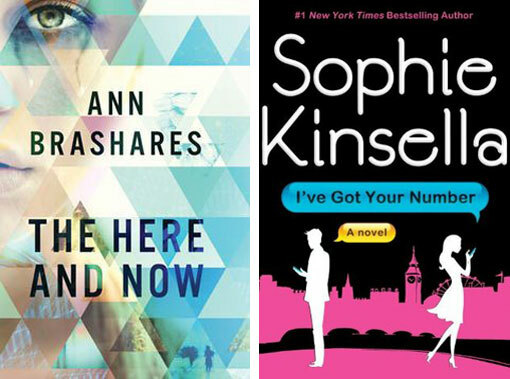 I actually read quite a few books last month – some good, some mediocre, some not so good. 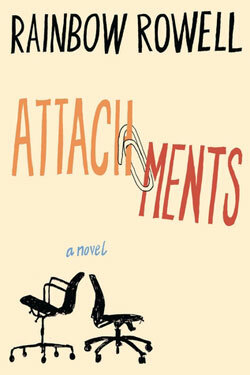 Attachments by Rainbow Rowell / ★★★★ / I’ve been wanting to read more from Rainbow Rowell ever since reading Eleanor & Park. When I saw Kay’s book club was reading this for July, I knew I had to read it! This is Rowell’s first adult novel, and I really enjoyed it. It’s quirky, the characters are lovable, and I found it totally believable. I think that’s what makes Rowell’s novels fun, they’re realistic and charming, and the characters feel real. I bought Landline (from Amazon at 75% off before release, what!) and can’t wait to read it! 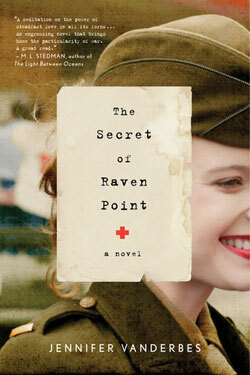 The Secret of Raven Point by Jennifer Vanderbes / ★★★ / Well to be honest, this wasn’t what I expected. When a book has “secret” in the title, I expect a resolution and felt like I didn’t get one with this book. Juliet is our protagonist, she’s lied about her age so she can join the war as a nurse. She’s in search of her brother, and stumbles along a patient who knew him along the way. Theres a lot of blood and guts – this is a war story after all. 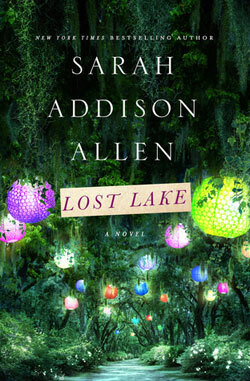 But something was missing here – the book just wasn’t all that engaging to start, and it just lacked much real feeling. 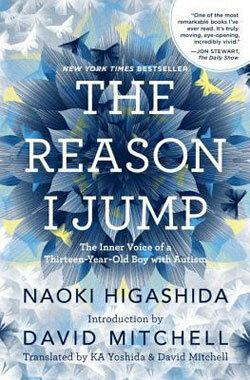 The Reason I Jump by Naoki Higashida / ★★★ / I wasn’t quite sure what to rate this one because it definitely was not disappointing or not great, it was just different. This is a book about Autism from a child with Autism. He’s explaining why those with Autism react to stimuli in unique ways, and how we can better understand them (from his perspective, of course. I assume not everyone with Autism feels the same way as Higashida.) I guess what I found lacking was anything new. I’m no Autism expert, but it’s something that there’s plenty to read about these days, and I wasn’t blown away by any of the information. I guess if anything it reassured me that what I’ve read is true, at least in Higashida’s case. Regardless, it’s an incredibly short read and I recommend it if you’re interested at all in the subject matter! 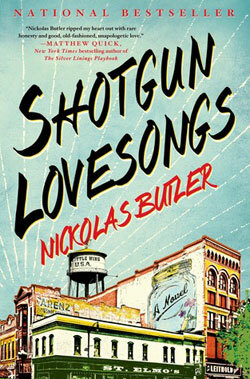 Shotgun Lovesongs by Nickolas Butler / ★★★★ / I really liked this book. Apparently the book is based around the story of Bon Iver, which is cool I guess, but since I did not know that, it had no impact of my enjoyment of the book. I enjoyed reading about the messy lives of those around Leland (the main character, a struggling, former rock star) and his friends from back home in a small Wisconsin town. This was an easy read – the characters are not overly complex, the words flow well, and I appreciated the story being told. But, I will say after reading other reviews, this may not be the book for everyone. 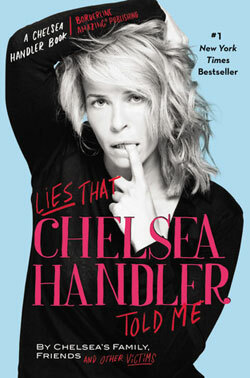 Lies That Chelsea Handler Told Me by Chelsea Handler / ★★★★ / This isn’t my first Chelsea Handler book, and probably not my last. Generally, I think she’s pretty funny. Maybe not always dying of laughter or anything, but its enjoyable. This is basically written from the point of view of Chelsea’s friends, whom have caught Chelsea in lies and put them in awkward scenarios. Definitely a quick read that was good for a few laughs. 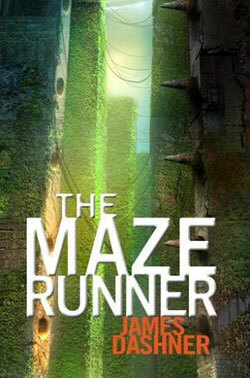 The Maze Runner by James Dashner / ★★★★ (3.5) / Really enjoyable, quick read. Engaging, but not quite at the same level as the Hunger Games trilogy in my opinion. It’s hard to form a full opinion on this series since I’ve only read book 1, and it feels like there’s still a lot missing from the story. It almost intentionally leaves off at the very end, begging you to read book #2, which of course I will do. The one thing that I felt was missing was character insight – I didn’t feel particularly connected to anyone, and they felt flat. 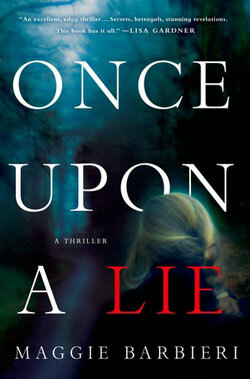 Once Upon A Lie by Maggie Barbieri / ★★★ / I have mixed feelings about this one. It wasn’t terrible, but thriller it was not. Too many hints at the clues the author was giving us kind of muddled the “mystery” aspect, and while the ending had a bit of a twist, the beginning to middle section of this book just weren’t that, well, thrilling. I added a couple of these to my (ever growing) to-read list, so thanks! I just updated about my progress on the Semi-Charmed challenge. Still muddling along. It’s hard to read with an almost three year old! hmm thats the second time today i have seen the here and now, i need to add it to my list, and the sophie book. i absolutely freaking adored Attachments. So far I’m not particularly impressed with The Here and Now, which is too bad because I loved the Sisterhood of the Traveling Pants… and this is much different. The Sophie Kinsella book is definitely a fun beach/chick lit kind of read. Thanks for the recs, don’t be shocked if you see Attachments on one of my upcoming reading lists, I am looking forward to it based on your rec! Oh yes, definitely read it. I hope you love it! You were a reading machine this month! Haha, thanks Chelsea! Trying to hit my goal of 100 for the year… eek! So far I’ve been enjoying it! Definitely a fun and entertaining read. I think if you’re a fan already, you’ll like this one too! Full disclosure though, this is my first Sophie Kinsella novel, though I did start Confessions of a Shopaholic, just never finished. Some great titles! Happy August reading! Thanks Freda! Happy reading to you too! Attachments was a great read!! I love all these picks! I love Bon Iver so now I’m intrigued by the Shotgun Lovesongs book. So far this summer I’ve read The Goldfinch, The Good Luck of Right Now, The Fault in Our Stars, #GIRLBOSS, Flowers for Algernon, Let’s Explore Diabetes with Owls, A Thousand Splendid Suns… but have so many more on my list! Thanks for your recs! Nice to “meet” you too, Carolyn! Wow, sounds like you’ve been reading a lot too! #GIRLBOSS is totally on my list, can’t wait to read that one! Great list! I just finished “I’ve Got Your Number”, and it was a fun read. Reading Jennifer Weiner’s “The Next Best Thing” right now. So far it’s pretty good! Good to know, I’ll have to check The Next Best Thing out!